WikiLeaks founder Julian Assange is expected to make a public statement later on the diplomatic row that has engulfed him since being granted asylum by Ecuador. 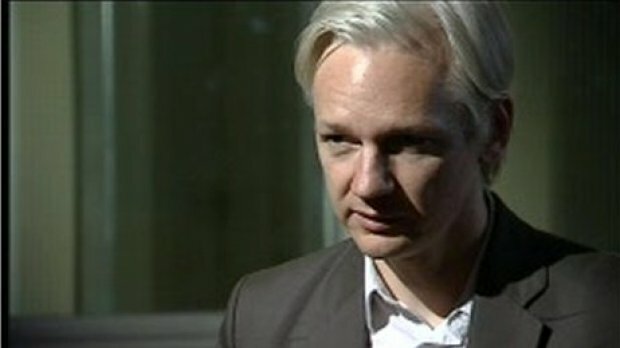 WikiLeaks says Julian Assange will speak outside the Ecuadorean embassy in London, where he has taken refuge. Julian Assange faces extradition to Sweden over sexual assault claims, which he denies. Ecuador’s president has suggested Julian Assange could co-operate with Sweden if assurances are given that there would be no extradition to a third country. Australian Julian Assange, 41 – whose WikiLeaks website has published a mass of leaked diplomatic cables embarrassing countries including the US – first walked into the embassy in Knightsbridge, asking for protection, two months ago. Julian Assange entered the embassy after the UK’s Supreme Court dismissed his bid to reopen his appeal against extradition and gave him a two-week grace period before extradition proceedings could start. It is established international protocol that local police and security forces are not permitted to enter an embassy, unless they have the express permission of the ambassador. However, it is not clear precisely how this statement will be made and Julian Assange has been warned by the British authorities that he will be arrested when he leaves the embassy. The Sunday Times quotes sources close to Julian Assange who say he would be prepared to leave the embassy if guarantees are given by Sweden that he will not be extradited to the US. His supporters claim he could face persecution and even the death penalty. On Friday, Ecuador’s President Rafael Correa used his weekly national address to say that the South American country had never said Julian Assange should not “answer to the Swedish justice system”. Rafael Correa said a letter from the British government that drew attention to the Diplomatic and Consular Premises Act 1987 was “intolerable” and an “explicit threat”. The act could allow the UK to potentially lift the embassy’s diplomatic status to allow police to enter the building to arrest Julian Assange for breaching his bail terms. Meanwhile, the Alba group of leftist Latin American nations – founded by Venezuela’s President Hugo Chavez – has warned the UK government “it will face grave consequences around the world if it directly breaches the territorial integrity” of the embassy. The UK Foreign Office has said the letter was sent to clarify “all aspects of British law that Ecuador should be aware of”. It has also said it would follow its obligations, under the Extradition Act, to arrest Julian Assange if he leaves the embassy. Sweden, meanwhile, has said it is “unacceptable that Ecuador would want to halt the Swedish judicial process”. It wants to question Julian Assange over allegations that he sexually assaulted two female ex-WikiLeaks volunteers while he was in Stockholm to give a lecture in 2010.